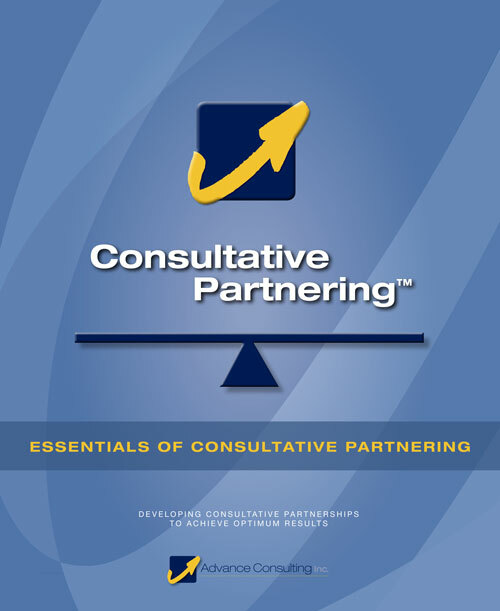 Our Consultative Partnering Series™ consists of four primary consulting skills workshops. Each workshop is targeted at a specific organizational/experience level and is designed to be customized for your specific business. This ensures maximum business impact and addresses variations in skill needs, challenges, and activities at different positional levels. The Consultative Partnering™ courses are outlined below. Helps new consultants and individual contributors develop core consulting capabilities, increase the value they contribute, and move into the role of consultant (3 days). Onboarding program for new consultants. Provides participants with the tools and interpersonal skills necessary to achieve exceptional results in projects and client relationships (2 days). Presents advanced consulting skills relative to leading projects, managing challenging interactions, and effectively communicating value propositions (2.5 – 3 days). Consultant training for senior staff or high potentials. Promotes “top down” modeling of consulting behavior and guides the leadership team in developing the vision for change and driving business transformation (2.5 – 3 days). Strategy and planning session for major business transformation. This course is targeted primarily toward individual contributors and technical professionals with a minimum of two to three years of professional experience. It provides participants with the Consultative Partnering™ tools and interpersonal skills necessary to achieve exceptional results in projects and client relationships. Participants apply effective communication tools and a consulting process that helps them work more effectively as business partners with their internal and external client teams. Join the 22,000+ professionals who have benefited from this flagship of our premier consulting skills workshops. This blended delivery option within our array of consulting skills workshops is delivered in eight two-hour sessions via a facilitated online classroom, allowing participants to attend from their offices virtually anywhere in the world. It equips professionals with the tools and skills needed to build influential partnerships with both internal and external clients to optimize service delivery and results. It delivers many of the benefits of classroom training, plus some remote advantages, while avoiding travel costs and big-block time commitments. 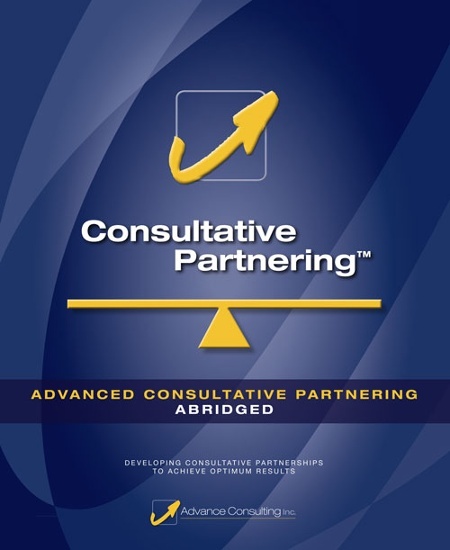 Advanced Consultative Partnering is our consulting skills workshop designed for senior professionals and managers. It presents a more advanced view of Consultative Partnering™ skills while focusing participants on leading projects, managing challenging interactions, and effectively communicating value propositions. 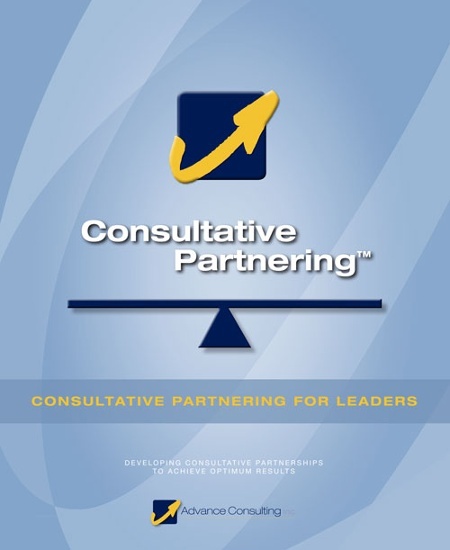 In addition, participants improve their ability to influence at C-level, deliver value-based recommendations, and model consulting behavior to further build and reinforce Consultative Partnering™ skills among their staff and peers. This facilitated working session is for leaders responsible for driving change – whether they are building a more consultative organization, instilling greater customer focus, building high-performing teams, or driving performance improvement. It provides a condensed version of the Consultative Partnering™ skills training to encourage a “top down” modeling of consulting behavior, essential for organizations in transformation. More importantly, it guides the leadership team in developing the vision for change, assessing and developing readiness, identifying and addressing obstacles to change, solidifying their communication approach, and identifying the primary activities that will ensure organizational development takes place and strategic goals are met. Our senior consultants will work with leaders to design customized leadership training and an agenda that meets their strategic and developmental goals for this event. This highly interactive, three-day, facilitator-led classroom learning experience helps new consultants and individual contributors develop core consulting capabilities, increase the value they contribute, and move into the role of consultant. Getting To Consultant centers around the steps in the journey to get to consultant, and moves participants through a systematic process that helps them focus on how they build and increase the value they contribute to their clients in everything they do in their work. Designed for the same audience as our two day course, this course is essentially day one of the two day course. It provides participants with foundational consulting skills development. Day two, which focuses on the Consultative Process, can be taken at a later time. Designed for a more senior audience, this course is essentially day one of the 2.5 – 3 day course. It provides participants with advanced consulting skills development, connecting to the roles of leaders and managers, and providing a common language and toolkit around business partnering skills.